FULLERTON – Tom Flynn, a parishioner of St. Ursula in Parkville, sat in the pews of St. Joseph Church in Fullerton, fighting back tears as he listened to the keynote speakers at the 22nd annual Catholic Men’s Fellowship of Maryland Conference March 23. 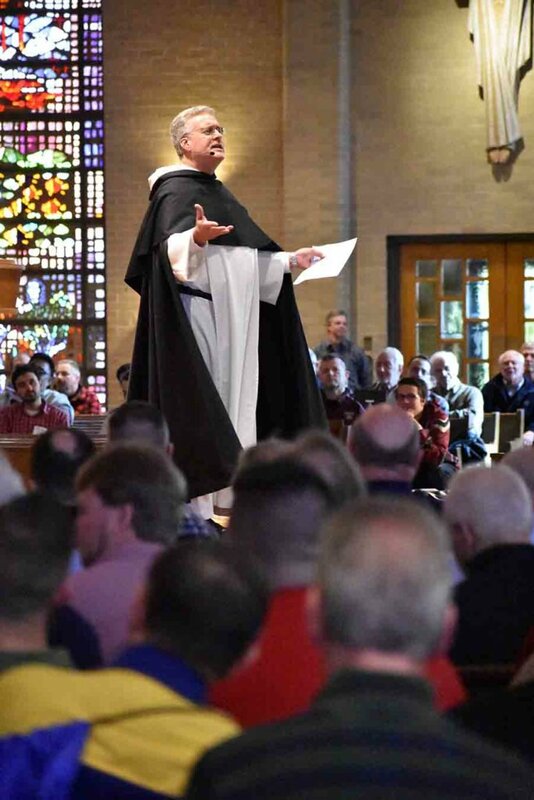 Flynn was among more than 800 men who were inspired to act at the gathering, which included Mass, opportunities for adoration and reconciliation, and speakers such as Dominican Father Peter John Cameron, first American editor-in-chief of “Magnificat,” the monthly Catholic worship aid. In the morning session, Father Cameron told a gripping, heartfelt story of a father of conjoined newborn twins who was able to distinguish his daughters at baptism – just 45 seconds after birth. In the afternoon, Father Cameron shared the story of the husband of a teacher’s aide killed in the Sandy Hook massacre in 2012, his decision to seek healing through Christ, and the need for Catholic men to be present for those who are suffering. (Sandy Hook is in the Diocese of Bridgeport, Conn., where Archbishop William E. Lori served before becoming archbishop of Baltimore). He encouraged the men to share personal challenges with their children and friends, and to be authentic in the way they suffer. In that same vein, Pete Ascosi, assistant director of Baltimore-based ChristLife, asked attendees to consider several possible actions, including sharing videos and books, evangelizing the faith, and making a daily commitment to Jesus Christ. Zoltan Szabo, a parishioner of St. Dominic in Hamilton, heard a slightly different call to act. The other keynote speakers were Stephen Ray, a documentary producer and bestselling author who spoke about Joseph, the man closest to Christ, and the challenges of the secular world; and Father Charles Canterna, of the archdiocesan Office of Prison Ministry, who told of his experiences and calling men to holiness. Each keynote speaker received a standing ovation, but none matched the reception when Father Steven Roth, vocations director for the archdiocese, introduced its seminarians. Archbishop Lori presided at afternoon Mass, and shared the story of the prodigal son in his homily. 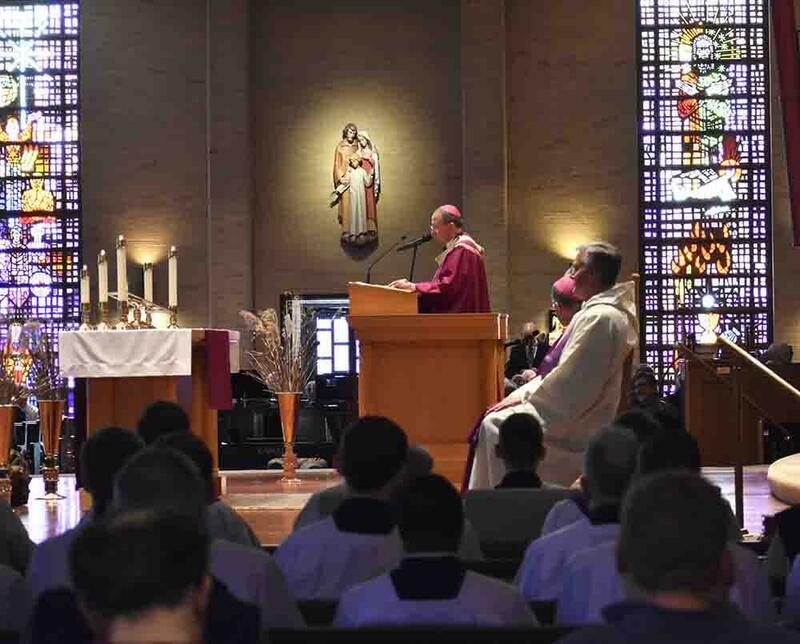 Ed Roberts, vice president of Catholic Men’s Fellowship of Maryland, said its board is exploring ways to reach more men in the future, and mentioned holding the conference at larger venues. Correction: An earlier version of this article incorrectly attributed a quote by Pete Ascosi to John Romanowsky, director of evangelization for the Archdiocese of Baltimore. The Review regrets the error. 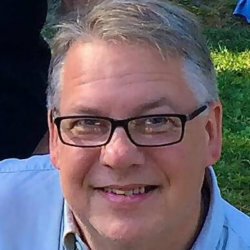 Rus VanWestervelt, a freelance writer for the Catholic Review, is a lifelong resident of Baltimore, a graduate of both Towson University and Goucher College. He teaches writing at Towson University and in the Howard County Public School System. Rus is the author of two works of fiction, a collection of Christmas stories and essays, and hundreds of articles on writing, parenting and teaching. Rus lives in Towson with his wife and three children, and is a parishioner of Church of the Nativity in Timonium, where he serves in the Vantage Point program, working with candidates and catechumens interested in being confirmed in the Catholic faith.